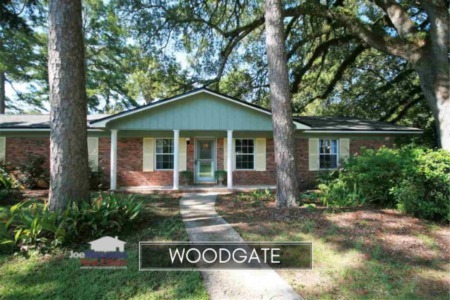 The Meadowbrook neighborhood offers popular sized homes on quarter acre plus size lots, and these high demand homes come in at a price that is still very favorable to your pocket book. Located near the intersection of Capital Circle NE and Mahan Drive, this popular place to be should be on your shopping list if you are looking for a 3 or 4 bedroom home. It is important to note that the narrative contained below is for sales through December for all previous years, and through three weeks in October in 2018. The graphs and the closed sales table will be continuously updated into the future (meaning bookmark this page if you always want to know the current status of homes in Meadowbrook). Average home prices have recovered strongly over the past few years, yet there has been a modest decline in 2018. At first blush you might think this is a sign of depreciation, but follow our report to the bottom and you'll see the true reason for this decline (hint, look at the home size graph below). Currently, the average home price in Meadowbrook is $200,312. 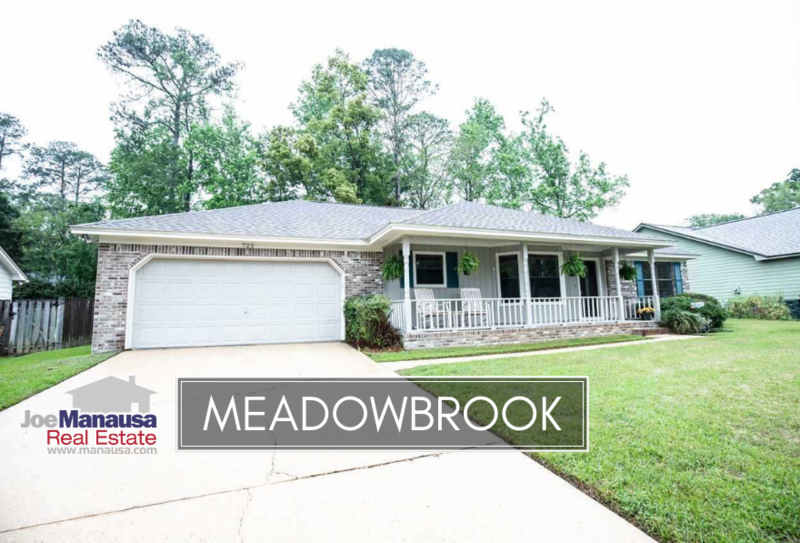 Currently, there are 5 homes for sale in Meadowbrook, and just one is under contract. All aggressively marketed homes here should sell within days (if not faster). Home values have surged much higher in 2018, up more than 5% when compared to 2017 home values. 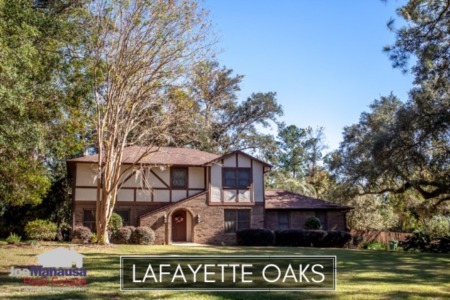 Currently, the average value of $123 per square foot means there remains much upside to continue higher since numerous NE Tallahassee neighborhoods are appreciating faster. The average home size sold in Meadowbrook typically falls in a range of 1,550 to 1,850 square feet, and 2018 has been no different. In 2018, the average size of the 16 homes sold thus far is 1,638 square feet. The following list shows more than 460 home sales in Meadowbrook going back to 1991. This concludes our October 2018 update on home sales in Meadowbrook, please give us a call at (850) 366-8917 or drop us a note if you have questions not covered in this report. Do you want the absolute best in sales and service? Here's what people are saying about working with Joe Manausa Real Estate, you can see hundreds of real customer reviews reported on Google, Facebook and Zillow right here: http://www.manausa.com/testimonials.